Bucky is in full bloom! 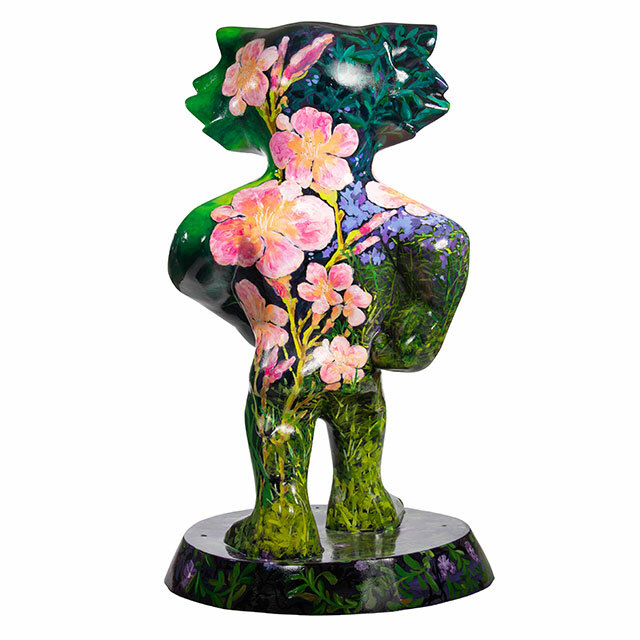 This statue is inspired by native Wisconsin prairies and wildflowers, and is covered in lush green foliage and beautiful blossoms. Be sure to look closely to find a ladybug and two ants! Paula holds a bachelor's degree in fine art from the University of Wisconsin-Milwaukee. Her work is part of private and corporate collections nationwide and has been featured in group and solo exhibitions throughout Wisconsin and New York. Paula's work is also part of the White House Permanent Collection. In addition, she is the creative director and owner of Firehouse Creative in Milwaukee and is also an adjunct professor of marketing at Concordia University in Mequon. Dr. Diane Heatley is the Medical Director of American Family Children's Hospital. 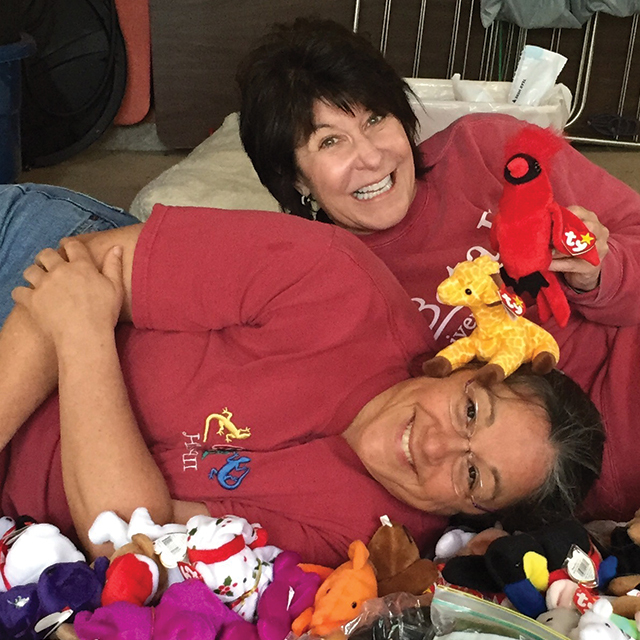 Paula and Diane are long-time childhood friends. After several years of prodding and a few easy technique classes, Diane has now embraced acrylic painting.